Tickets are now on sale for the 2019 Nenana Ice Classic. Buy a ticket, guess the date & time the ice will go out on the Tanana River, moving the iconic tripod, and win Alaska Glory, along with a dollar or two. Last year’s jackpot was $225,000. Please note, all times must be Alaska Standard Time; tickets are on sale throughout Alaska through April 5th. Participants Outside must contact the Nenana Ice Classic directly for purchase. Last year I was exactly three hours late with my guess. You’d think the damn Tanana could have held on for three hours! 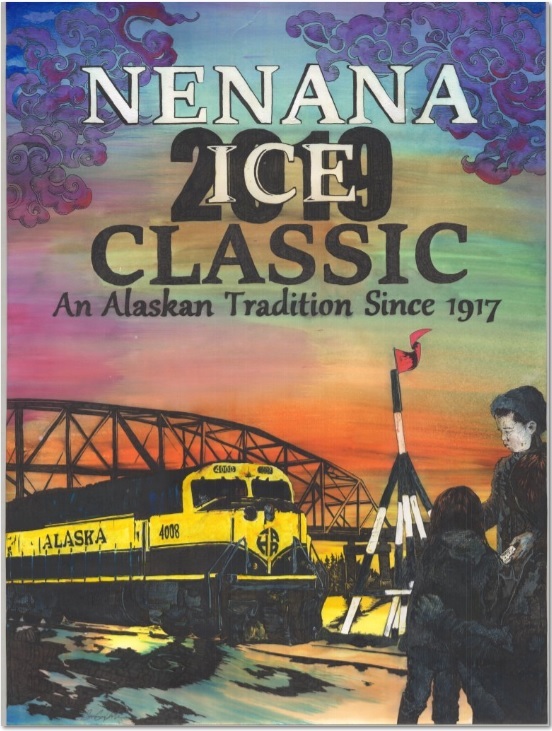 This entry was posted on Friday, February 1st, 2019 at 7:07 AM	and tagged with history, nenana ice classic, tanana river and posted in Alaska. You can follow any responses to this entry through the RSS 2.0 feed. Mike, Neat deal. Question– exactly how is the winner determined??? How much does the tripod have to move ?? ?